This guide is a full, detailed write up that teaches you how to get rid of dandruff and itchy scalp. And when I say detailed, I mean I’m trying to give you every popular solution out there and even a few that are less common. So hopefully you’ll be able to find the best solution that works just for you. If you need clarification or have any feedback, your own personal experiences, or products you’d like to add, please leave a comment at the bottom. Depending on the treatment, what might work for dandruff could make your dry skin or other flake causing conditions even worse. Dandruff and dry scalp are different conditions that need to be treated differently. I’ll go over solutions to each of these in more detail further down. Unfortunately, there is no way to get rid of dandruff permanently. We can only control it. The technique is just as important as the shampoo you use! Should I use conditioner after dandruff shampoo? What oils should I use for dandruff? Does sunlight help with dandruff? Can a healthy lifestyle fix dandruff? Can your diet affect dandruff? Does drinking water help dandruff? We tend to think of dandruff as any and all flakes. It’s usually used as an umbrella term to describe all kinds of flaking conditions. But, that’s not quite what dandruff is. Dandruff is a more common and less severe form of Seborrheic dermatitis or in babies, it’s known as cradle cap. It’s a long-term skin disorder. Around 50% of people have had dandruff at some point. Seborrheic dermatitis typically has red inflammation and is not limited to just the scalp like dandruff is. Lots of people get it on their face too. 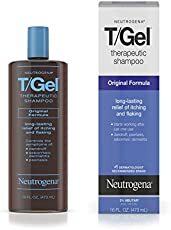 Since both conditions are very similar and are treated in a similar way, I’ll be using dandruff and seborrheic dermatitis interchangeably throughout the post. Seborrheic dermatitis is also referred to as Seb Derm, SD, or seborrheic eczema. Is dandruff contagious? No. Not at all. Everyone has the fungus/bacteria on their scalp that can make dandruff happen. Some people are just more susceptible to irritation caused by that fungus/bacteria. Dandruff is a chronic condition. When you have bad dandruff you’ll always have to use something to take care of it. But, once the symptoms are gone, you can scale back the treatment and use it less often. If you completely stop treatment, dandruff will most likely return at some point. The main symptoms are itchiness, greasy and oily skin, flaking ranging from small white flakes to large yellow ones, and redness. The flakes from dandruff are dead skin cells shed due to oily skin. We all shed skin constantly. But, someone suffering from dandruff is shedding a lot faster. That excess shedding makes those dead skin cells clump together to become bigger and more noticeable flakes. There is a key distinction here between dandruff and other types of flakes. Dandruff is directly related to an oily scalp. Be careful when self-diagnosing your problem. There are all different kinds of eczema and psoriasis issues that can cause flakes. Dandruff products can be drying to your scalp, which is good for dandruff, but using them on a simple case of dry skin during the winter months could make things even worse. For dry skin, natural shampoos might be a better option. Before trying new skin care products, do a test patch. Especially if you have sensitive skin or allergies. Every treatment can have side effects or cause allergic reactions in some people. Even natural home remedies can cause problems. The purpose of a patch test is to see if you have any type of contact dermatitis or allergic reaction to certain products before you put it all over your scalp. If you want to be extra careful, there are two types of patch tests. One on the inside of your elbow and one on a small patch of skin behind your ear. There are two because you may find that certain products are totally fine on your arm but, cause a reaction on your face. After you’ve applied a small amount of the product, wait 24 hours and look for any signs of irritation. Antihistamines – If you are using any antihistamines, keep in mind they suppress your allergy symptoms. Finally, now we’ll get onto our main topic on how to get rid of dandruff and itchy scalp. The easiest way is to use an anti-dandruff shampoo. I’ve listed the many kinds of dandruff shampoos here. Most importantly, follow the directions on the bottle. Gently rub it into the scalp. Dandruff comes from your scalp, not from the hair. So make sure to get it in there good! You don’t need to be rough with it. Just make sure your scalp is covered. Leave it in for a while. Make sure the active ingredient in your shampoo has plenty of time to work. Keep the shampoo in your hair for 5-10 minutes before you wash it out for maximum effectiveness. Rinse out thoroughly. Product build-up is a cause of itchy scalp so make sure you’re completely rinsing out the shampoo after each rinse. Depending on what type of anti-dandruff shampoo you use, you’ll want to adjust how often you use it. Most shampoos have recommendations for when to use it. Some say to use their shampoo only twice a week, others recommend daily for severe dandruff. In between your use of an anti-dandruff shampoo you should use milder gentle shampoos. That will help reduce scalp irritation. Regular shampoos are sometimes a little harsh because of some of the chemicals. For most people this is completely fine but, those with skin conditions like seborrheic dermatitis they’ll be even more susceptible to irritation. Once symptoms disappear, you can reduce how often you use an antidandruff shampoo. And if symptoms come back, start using it more often again. There is no cure for dandruff, it can only be controlled. It depends. If your scalp is dry immediately after your anti-dandruff shampoo, you should not use a regular conditioner. These don’t have any ingredients that fight dandruff. There are anti-dandruff conditioners though. They use the same active ingredients as an anti-dandruff shampoo. 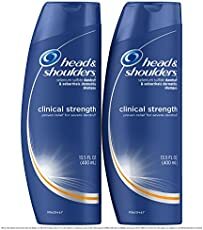 For example, Head and Shoulders conditioner uses Pyrithione zinc in both their shampoo and conditioner. The conditioner just has a smaller amount (.5% vs 1%). These are only necessary if you’re concerned about your hair being weak or dry after using your dandruff shampoo. Also be mindful about what ingredients are in your conditioner. Many natural conditioners use oils for their hydrating properties. But, many of these oils feed dandruff. More on that below. 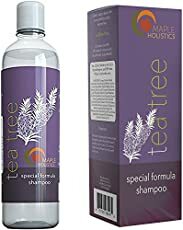 For example, a super popular conditioner on Amazon is a tea tree oil conditioner by Maple Holistics. 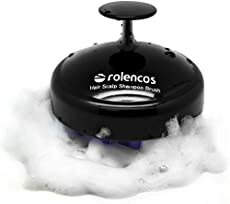 It has excellent reviews and is listed as a dandruff treatment option. But, there are 5 ingredients in it that can increase Malassezia growth. They are glycerin, sorbitan olivate, argan oil, shea butter, and jojoba oil. All moisturizing ingredients. That would lead me to believe that the tea tree oil conditioner is better for dry scalp or psoriasis issues. My recommendation would be anything that doesn’t have ingredients that feed the route of our problems. I used the website Sezia to look up ingredients that aggravate Malassezia. This conditioner has none of those. Now I want to take some time to go over a lot of other options besides medicated shampoos. It’s not because these DIY treatments are the best options but, because they are often listed as amazing remedies that cure dandruff. Which, in some cases is the opposite. Some of them could very well be effective. But, there isn’t enough evidence for any of them to be listed as a tried and true method to get rid of dandruff and itchy scalp. Oils are commonly listed as an effective natural treatment and home remedy for dandruff. They aren’t necessarily good for dandruff. However, they are fantastic for dry skin and hydration. Why might they be bad for dandruff? Dandruff is a less severe form of seborrheic dermatitis. An issue with an overly oily scalp. Malassezia, thought to be the yeast responsible for dandruff, is lipid-dependent. Lipids are part of oils produced by living things. Natural oils feed Malassezia. So adding more oils isn’t really going to do a lot of good for us. People commonly confuse any and all flakes as dandruff. It could actually be many different things including dry scalp which oils may be very helpful for. The only exceptions I can point to are possibly mineral oil, MCT oil, squalane oil. They could be helpful based on the fact that they do not feed Malassezia. More on those further below. Essential oils are perfectly fine to fight dandruff. Tea tree is a super popular one! Olive oil is listed as another home remedy to battle dandruff. Just like coconut oil, olive oil has great hydrating benefits for your scalp but, it isn’t the most effective for treating seborrheic dermatitis. Just because vegetable oils are what the yeast that causes dandruff feeds on. I’m not going to list every vegetable oil here but, they typically contain oleic acid or linoleic acid which have carbon chain lengths of 18 which is in that problematic range. I recommend against using any vegetable oils. There are three main oils that work best as natural home remedies if you want an oil treatment (because they don’t feed Malassezia). Squalane oil, MCT oil, and Mineral oil. You can use squalane oil or MCT oil as carrier oils if you want to mix in essential oils like tea tree. My personal rating would be Squalane oil as the best, followed by MCT oil, with mineral oil in last. OCM is a type of cleansing that is based on the idea that oils dissolve oils. The idea is to maintain the natural pH of your skin instead of stripping away all of its moisture by washing. The main problem with the oil cleansing method for dandruff is that it can make your hair feel really greasy. OCM is typically used to wash your face. And you’d wipe it off with a microfiber cloth after. 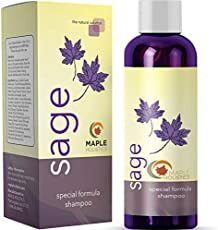 If you want to use oils on your scalp I highly recommend you do it before a shower and use a medicated shampoo or even a mild shampoo to get the oil out afterward. A common myth about soap is that when you wash away the natural oils of your face your sebaceous glands kick into overdrive. They produce more oil than before. That isn’t true. Be careful with what oils you use. Recipes for the oil cleansing method you find online might use oils that feed dandruff. Do a patch test before applying any oils to your scalp. Any oils you use can be very messy so be prepared. The super short answer is yes. But, that doesn’t mean you should spend extra time in the sun. UV radiation has been used to treat specific skin diseases like eczema and psoriasis. And narrow-band UVB phototherapy seems to be an effective treatment for seborrheic dermatitis. Narrow-band UVB is a specific type of phototherapy treatment that is within a very specific wavelength. It’s one of the most common and safest methods of light therapy. However, that does not take away the negative side effects of sun exposure. Sunlight from outdoors isn’t as safe as narrow-band UVB. In moderation, sunlight is good for your skin. Your skin makes vitamin D when it absorbs sunlight. The sun is actually going to be your best source of vitamin D. A little bit of sun is great for many skin conditions including dandruff. Just be careful not to get too much of it. I don’t think I need to get into all of the negative effects of excessive sun exposure the worst of all being skin cancer. In addition, some conditions and medications can make you more sensitive to sunlight. And that can increase your chances of sunburn and the negative effects of UV radiation exposure. Going outside for a little while is great. Sunbathing for hours is a bad idea. If you choose to spend more time outside, make sure you protect yourself with sunscreen. Diet, exercise, stress, and the amount of sleep you get can contribute to scalp conditions. Being healthy will not cure you of dandruff but, you can reduce how severe your flare-ups are by adopting a healthier lifestyle. No. But, it can make problems even worse if you already have dandruff. In fact, stress can make many skin conditions worse. Like psoriasis and eczema. Diet plays a heavy role in your bodies health. But, is it the best way to cure dandruff naturally? No. There isn’t enough research available to say something like changing your diet alone could put an end to your dandruff problems. Or cause them by itself. It’s very unlikely to do either of those things. But, adjusting your diet to a healthier one is never a bad thing. How about vitamins for dandruff? The only time you should adjust your diet or take vitamins is if you are deficient in any nutrients. Common vitamins taken for hair and scalp problems include biotin, zinc, or fish oil for essential fatty acids. Yes, it can help, but it won’t cure dandruff alone. Don’t expect any miracles by drinking more water. Let’s put it this way: if you don’t drink enough water, you’ll be more susceptible to dandruff and other scalp conditions. The same goes for dry scalp. Drinking more water will help but, there are many factors that contribute. Recommendation: drink more water in addition to other dandruff treatments. Prev The Best Ways To Stop Shaving Cut Bleeding And Prevent It! Next Why Do You Get Dandruff From An Oily Scalp?